We’re passionate about design; naturally that includes building design & engineering…and motorcycles. 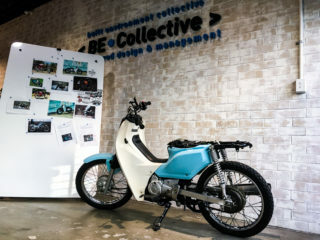 On any given day there are 3-4 motorbikes parked at the BEC Brisbane Head Office – so we decided to take our passion to the next level and build something of our own: A BEC Postie. Over the last few weeks the whole team has been involved in brainstorming and putting together our inspiration board for the project, and more recently we’ve sourced parts and creative advice from the style-wizards at Ellaspede. We’ll be posting progress and completion photos here if you’d like to stay tuned – otherwise drop in for a coffee & check out the build yourself!